Nota bene: for other movie reviews, click for the dedicated page with movie reviews. Awesomely funny jokes & situations, from the start and after the end (oh, those brilliant hidden scenes that have opened so many options for continuing the story!). It’s mostly a collection of (yeah, I’ve told you, but I need to repeat it) awesomely funny jokes & situations, but so badly glued together. Besides, why on Earth would any writer make the same mistake as in Mechanic: Resurrection (2016) [Liviu review] of creating a shallow/inconsistent/stupid love story in order to get the action going? 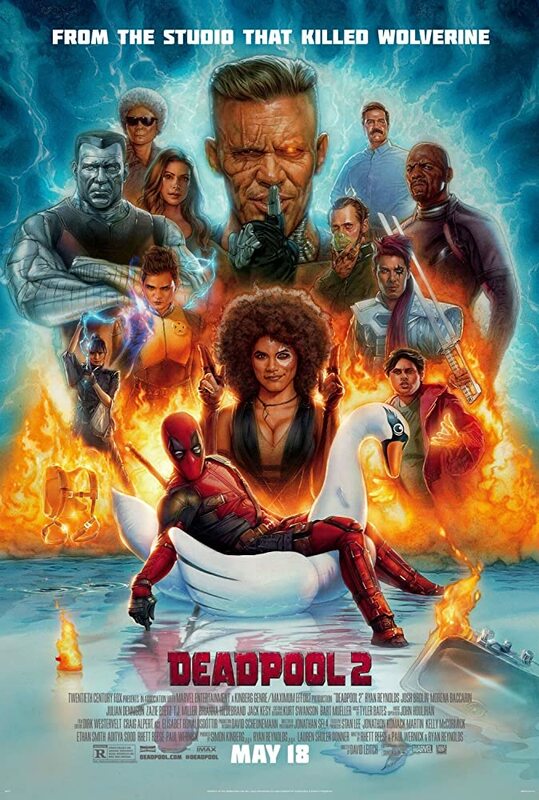 However, I must note that Deadpool 2 makes better use of the love story throughout the movie and opens the option of using it in the next installments of the franchise... but still is a shallow/inconsistent/stupid love story. Poor cinematography - by poor, I mean there's nothing special about it; probably they let Firefist and Dopinder handle the camera alternatively - in that case, congratulations, good job! Acting is ok, I guess. Given the awesomely funny script and the overall quality of everything else, it’s kind of hard to make the difference between bad acting and [the effort of doing] funny acting. There’s no reason to watch it at the cinema, really. One might watch it on TV and get the entire cinematic experience. Entertaining, awesomely funny jokes & situations - that's worth watching for sure. ... and just close your eyes and turn off your ears when there's nothing funny. Easy, right? Hope they get it better in the third installment of the franchise!